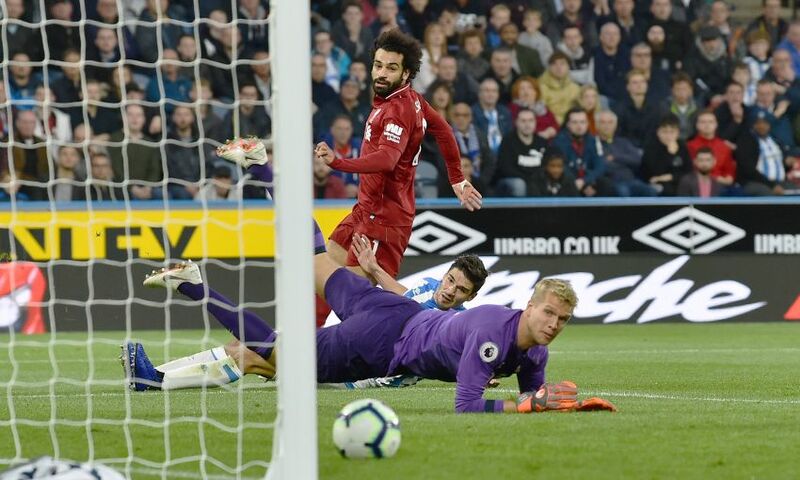 Mohamed Salah was pleased to get back on the scoresheet with the winning goal at Huddersfield Town – but took more satisfaction from Liverpool securing three points. In their first game after the international break, the Reds were made to work hard for a narrow 1-0 victory at John Smith’s Stadium. Jonathan Hogg hit the post minutes after Salah’s coolly-taken breakthrough midway through the first half and the game remained in the balance until the final whistle. The win ensured Salah and co kept pace with reigning champions Manchester City at the top of the Premier League table and the result was more important to the Egyptian than ending his run without a goal. “I’m not worried [about my form],” he told BT Sport when asked about netting for the first time since the home success against Southampton last month. “As long as I’m helping the team get points I don’t worry.